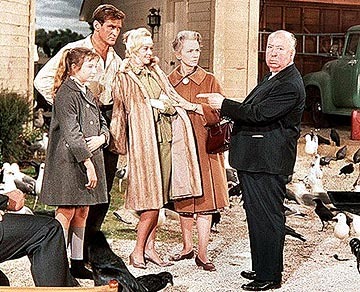 The supreme master of suspense, Alfred Hitchcock, was not talented just at crafting timeless films but also creating the archetypal femme fatale known as the Hitchcock Heroine. Always blonde, always fashionably sleek, and always cooly refined, the Heroine is defined by her icy disposition in the face of danger. She sometimes was the source of danger for the hero of the film, seducing the Cary Grants and Jimmy Stewarts away from the mission at hand. On a night like Halloween, when we celebrate the Psychos and sickos that directors like Hitchcock brought to the screen, why not dress up as their leading ladies? · This would be a beautiful costume to wear. A full tulle skirt with flowers decaled or stitched onto it, with a v-neck blouse (or even a black leotard), low black heels, and large pearl earrings and necklace. For a less well-known Window look, recreate any of her other costumes (I think there are four outfits in all – five if you count her nightgown and robe). A personal favorite of mine is her mint green skirt suit with the ivory halter blouse, pinned hat, and large pearl and charm bracelet. A mint green suit, optional fur coat, and (if you would like a post-attack look) rip your suit here and there and add fake blood. One year I saw a girl with fake birds on wires attached to her to look like the birds were swarming her. She looked fantastic, but the outfit was not dance friendly. Top off with a sleek (or not so sleek, depending how far along in the film you’d like to be) chignon. 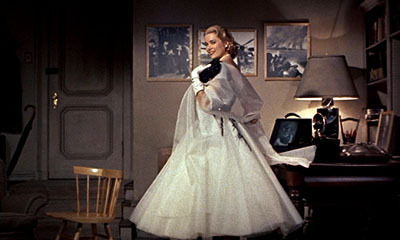 The green suit can be recycled from another year if you decide to wear that as Grace Kelly in Rear Window. Hi there! 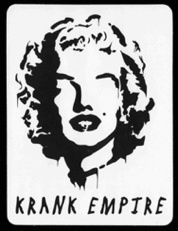 Thanks for following - did you notice my post from last year? I did a "Rear Window" theme for 2009 :) and it worked out surprisingly well!